When looking to have someone come to your home, property or business to provide a service, it can be very concerning. Can I trust them? Will they be respectful of my home or business? Will they do a good job? These are just a few things that run through your mind before setting up an appointment. When the appointment is for pest control, you might also be wondering? Is it safe for my pets and family? Most of these questions are regarding the quality of service being provided and hoping that you have selected a reputable company. You know…. the kind that takes pride in their work and has the customer’s interest in mind above all else. Nowadays, in a world of instant gratification, receiving this type of service can seem hard to come by. Many businesses claim to be the “best in service” but are those just taglines and marketing gimmicks? 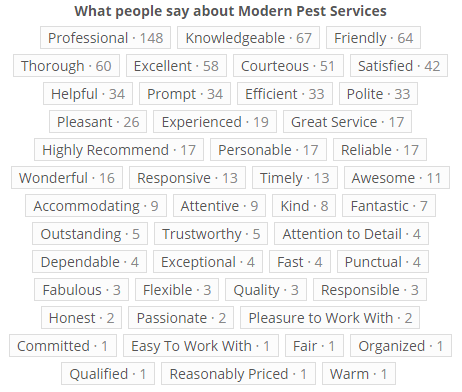 Rather than try to convince you with ads and commercials on how awesome we think we are at Modern Pest Services… we thought we would share with you actual reviews and feedback from our customers. “Getting started was easy and efficient. 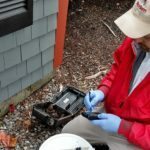 The website facilitated the process well, and I received a follow-up call within 24 hours, with a technician arriving at my property within the week.” says Adam Hickey of Massachusetts. “I had a great experience with your technician Tom. He was friendly and respectful. He fully explained everything he was going to do, and what to expect in the near future and how to handle it. He made recommendations on things I could do to prevent more pests. And he thoroughly explained the green package that I was purchasing. I have a young son and a dog, and Tom was friendly to them both and made sure to explain and assure me about the safety of the treatments he was using. Tom arrived on time and was finished with the treatment in a timely manner. He was knowledgeable without being condescending. And spent time to make sure I understood everything. All in all a great job on his part. Thanks for the service.”, shared by Mark Moline of Massachusetts. We think you might be able to see the pattern here. 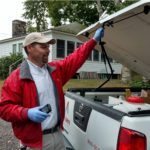 What sets Modern apart from other pest control companies is a team of truly knowledgeable professionals, who are consistently prompt, efficient, polite and helpful. We understand that customers just want the job done, and done right. Our customers often indicate how professional the service pros and customer service reps are, and are impressed with how we call ahead to confirm appointments and take the time to educate and explain what we will do. So if you are into that sort of thing, and we think you are – contact Modern Pest Services today! 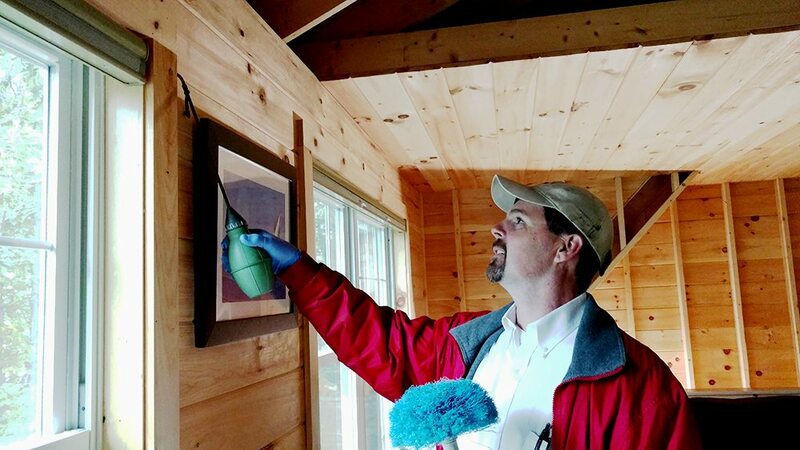 We can perform an in-depth inspection, determine the level of infestation, areas of damage, and create a very specific, environmentally friendly and effective program for your home.